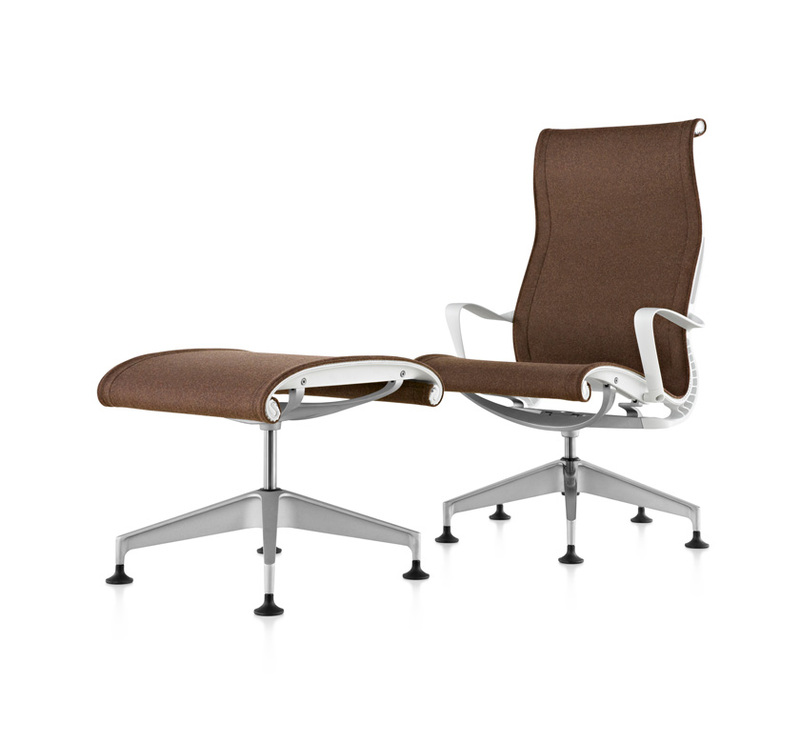 The Setu Lounge and Ottoman extend the easy style and comfort of Setu multipurpose chairs to more relaxed settings. 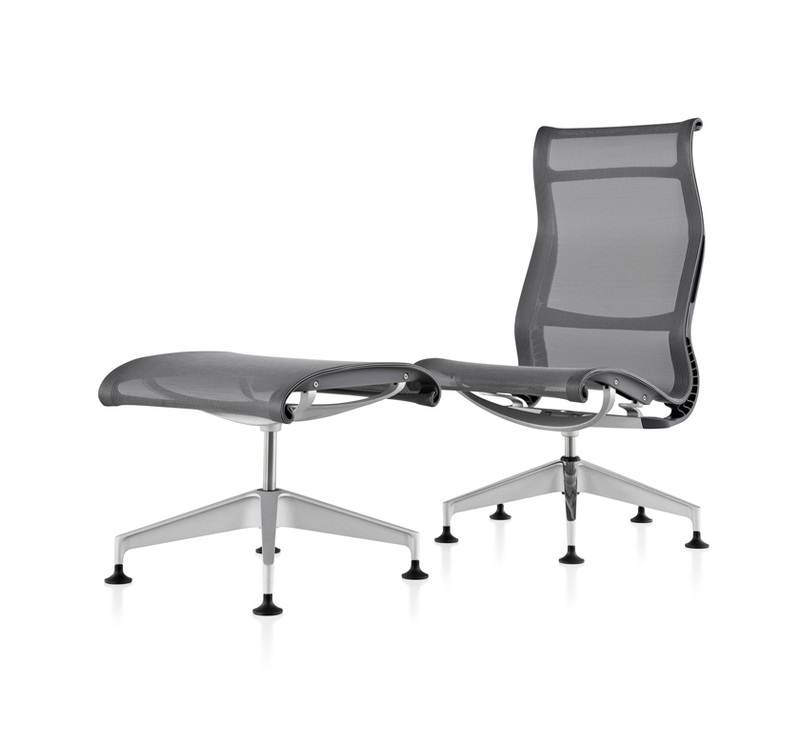 Our strong, flexible Kinematic Spine lets you choose your ideal reclining position without making a single adjustment, while the Lyris 2 suspension supports you and conforms to your contours. Combine the Setu Lounge with the matching ottoman, and you’ll feel instantly at ease. Available in Lyris 2 suspension or upholstered fabrics.